The state’s governor is encouraging the Big Island to embrace geothermal. 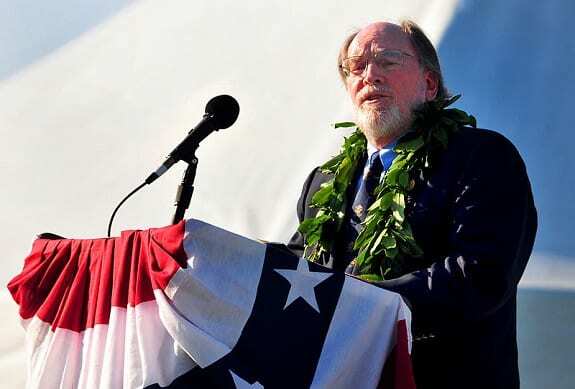 Neil Abercrombie, Hawaii’s governor, has been pushing geothermal energy in the state and has described it as an important alternative and renewable resource that should be embraced by all Hawaiian residents because it is vital for the state’s future energy requirements. The governor hopes the new senate bill will promote the development of Hawaii’s geothermal resources. The governor went on to say that all around the globe in places where geothermal resources exist, these resources are being fully explored and they are being fully used. He went on to say that if there is anything on or in the Earth that declares to humans that there is a resource for humans to utilize, it is geothermal. He commented that “the Big Island could not be better situated for it.” Abercrombie argued that the potential geothermal power has is practically limitless and ignoring such a resource would hinder efforts to seek out alternative energy sources. Currently, the only geothermal power plant in the state is the 38 MW (megawatt) Puna Geothermal Venture plant that is located near Pohoiki. However, Hawaii Electric Light Co. intends to develop a geothermal energy project on Hawaii Island that would produce as much as 50 extra megatwatts. Some fear that geothermal energy plants carry health risks. Over the years, the Puna Geothermal Venture plant has met with opposition from community organizations and neighbors who worry that potential health threats have not been completely considered by regulators. The reasons these worries exist is the plant brings up hazardous chemicals to the surface and they add industrial chemicals to the mixture they put into the earth. The belief is that toxic fluids will be released into the water, air or the surface. According to the Environmental Protection Agency (EPA), in general, the geothermal energy plant in Puna is operated well and safely. That being said, an EPA report did note that the plant has continual failures in regard to monitoring and preventative maintenance.